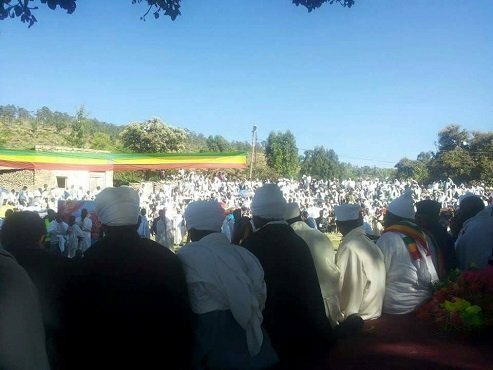 Aksum Tsion, in northern Ethiopia, is one of the sacred places for the faithful of Ethiopian Orthodox Tewahdo Church, believed to be well over 40 million according to recent statistics. The church in Axum Tsion is as old as Christianity in Ethiopia. The city of Axum itself was a seat of Axumite Kingdom in the ancient time, one of the strongest Christian Kingdoms outside of Europe. An elaborate Obelisk of more than 24 meters from that era still stands in the city and is one tourist attraction sites in Ethiopia. Christians, or anyone, who are into visiting a sacred site, Axum is a destination worth traveling to. Emperor Fasiledes is said to have to rebuild the church after destruction by Ahmed Ibn Ibrahim Al Gazi ( also known as Ahmed Grange) in the 16th century. The elaborate current church structure was built by Emperor Haileselassie, the last powerful emperor of Ethiopia, in the 1950’s. The construction was completed in 1964. He also built a chapel nearby to house what the faithful of the church value most – Ark of the Covenant – tablets of the Ten Commandments that Mosses received from God on the Sainai. Today, Hidar 21 in Ethiopian Calendar, followers of the Ethiopian church celebrate St Mary of Tsion in the city of Axum. 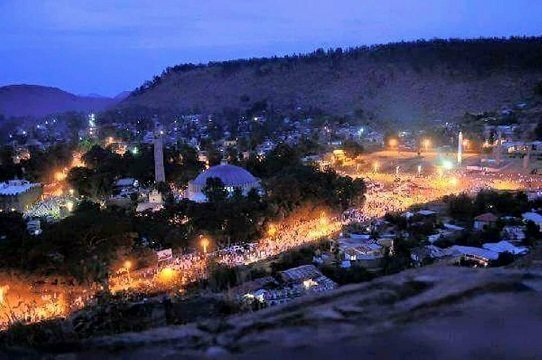 Millions of Ethiopians travel to Axum for pilgrimage. Those who can not make it to Axum always celebrate in their own cities and towns. As in many other holidays of the Ethiopian Church, Replicas Ark of the Covenant will be taken from its Altar and carried by a priest for a solemn and colorful procession.